What Next For Algeria's Protesters And Politicians? Tens of thousands of Algerian protesters have dismissed President Abdelaziz Bouteflika's promise not to seek a fifth term -- but what are those in power likely to do next? 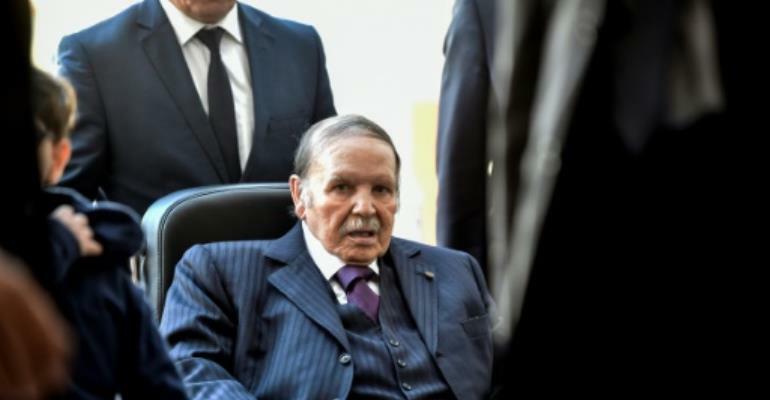 Bouteflika has proposed a "national conference" to carry out reforms before scheduling elections, meaning he will stay in power until a vote takes place. 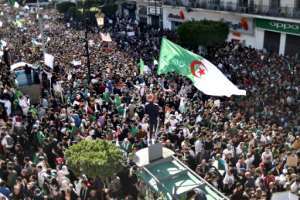 Algerians first took to the streets on February 22 to rally against Bouteflika's decision to stand for re-election, despite the ailing leader rarely being seen in public since a 2013 stroke. The president said Monday he would withdraw his candidacy, but angered protesters by de facto extending his fourth term indefinitely. Accusing 82-year-old Bouteflika of "tricks" to stay in power once his mandate ends, demonstrators rallied again on Friday to demand their president step down after two decades in power. The mobilisation was described as historic, with even more Algerians joining protests than the previous week when participation was estimated in the tens of thousands. What is the official response? 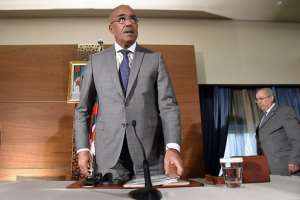 As part of the measures announced on Monday, Bouteflika ordered a government reshuffle and replaced unpopular prime minister Ahmed Ouyahia with former interior minister Noureddine Bedoui. While the removal of Ouyahia satisfied some, the promotion of Bedoui -- who as interior minister oversaw the strict ban on demonstrations in Algiers -- has failed to convince all protesters. The new premier has promised to bring technocrats into government, including "young experts, men and women". Finding technocrats willing to join a much-scorned administration, which Bedoui has pledged would be short-term, may however prove difficult. Algerians want "radical change, not a change of puppets," one protest sign read Friday. The central demand of demonstrators has remained the same: an end to Bouteflika's rule, along with that of his entourage and the political system they put in place. Since rallies began, authorities appear to have been playing a waiting game. But there is no sign the demonstrators are running out of steam. 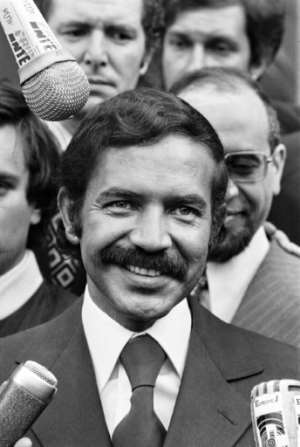 Algerians were traumatised by the civil war 1992 to 2002 and officials have capitalised on their fears, suggesting the regime is the only protection against a return to chaos. While this has long prevented people from taking to the streets, the current protests show they are now pushing back against the all-powerful state. Algerians of all ages have brought a celebratory atmosphere to the rallies, defying the protest ban in the capital to wave their country's flag. There are concerns among some protesters that the fatigue which accompanies the holy month of Ramadan, which begins in early May, could damp down their movement. Will there be a violent crackdown? The violent repression of protests in unlikely, as police have appeared overwhelmed in the face of such vast crowds. The demonstrations have largely been peaceful, with no incidents reported in the provinces over the past three weeks. In Algiers, there have been clashes on the sidelines at the end of each Friday protest, in which some young people have hurled stones at police. Such incidents have been notably rare given the sheer size of the protests, and volunteers in Algiers have cleaned up the streets following demonstrations. There is currently no indication that authorities will seek a violent end to demonstrations, particularly given the global attention on Algeria.